Hosted by the Government of the Maldives and funded by The Commonwealth and the Government of Australia, this conference brought together delegates and ministers from 14 island states along with observers and participants from around the world. Papers and material from the conference are provided here, with thanks to Alasdair Edwards and James Lewis. Male Declaration on Global Warming and Sea Level Rise (712 kb in PDF). Small States Conference on Sea Level Rise, 14-18 November 1989, Report (1,040 kb in PDF). Other early publications on sea-level rise. Draft Conference Declaration (863 kb in PDF). Provisional Agenda, Senior Officials Meeting, 14-15 November 1989 (518 kb in PDF). Provisional Agenda, Ministerial Meeting, 16-18 November 1989 (381 kb in PDF). Tentative Programme, Senior Officials Meeting, 14-15 November 1989 (461 kb in PDF). Tentative Programme, Ministerial Meeting, 16-18 November 1989 (431 kb in PDF). Draft Resolution on "Environmental Protection of Extra-Territorial Spaces for Present and Future Generations" (138 kb in PDF). Antigua and Barbuda: Antigua & Barbuda Country Statement, Delivered by Hon. Hilroy Humphreys, Minister of Agriculture, Fisheries, Lands & Housing of Antigua & Barbuda (515 kb in PDF). Cyprus: Cyprus Country Statement. Delivered by Hon. Andreas Gavrielides, Minister of Agriculture & Natural Resources of the Republic of Cyprus (822 kb in PDF). Fiji: Fiji Country Statement. Delivered by Hon. Lt. Col. Apolosi Biuvakaloloma, Minister for Rural Development & Rural Housing of the Republic of Fiji (652 kb in PDF). Kiribati: Kiribati Country Statement. Delivered by Hon. Babera Kirata O.B.E., Minister of Home Affairs & Decentralisation of Kiribati (495 kb in PDF). Maldives: Maldives Country Statement. Delivered by Hon. Abbas Ibrahim, Minister of Transport & Shipping of Maldives (591 kb in PDF). Malta: Malta Country Statement (530 kb in PDF). Mauritius: Mauritius Country Statement, Delivered by Hon. Sir Ramesh Jeewoolall, Minister of Housing, Lands and Environment of Mauritius (723 kb in PDF). Trinidad and Tobago: Trinidad & Tobago Country Statement, Delivered by Hon. 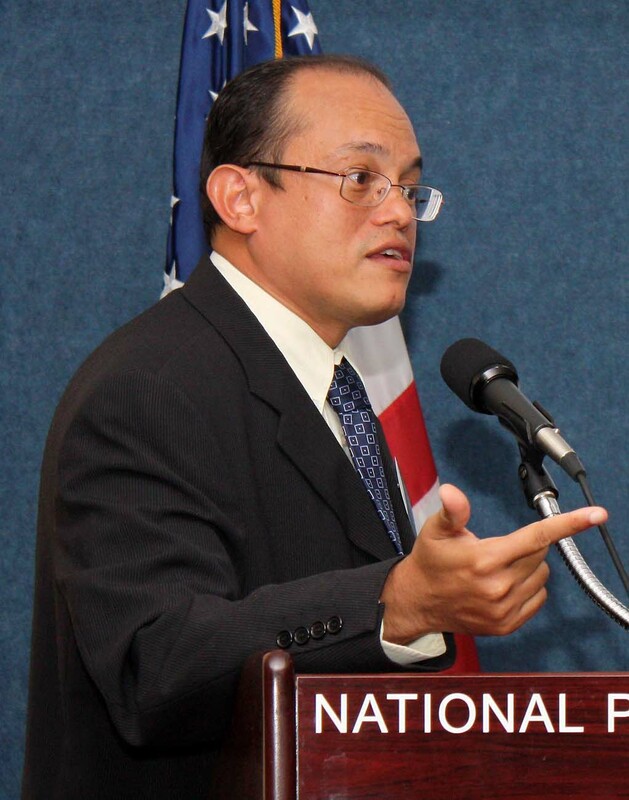 Lincoln Myers, Minister of Environment & National Service of the Republic of Trinidad & Tobago (778 kb in PDF). Vanuatu: Vanuatu Country Statement, by Hon. Jack T. Hopa, Minister of Agriculture, Forestry and Fisheries (538 kb in PDF). Algabid: Message of His Excellency Dr. Hamid Algabid, Secretary-General of the Organisation of the Islamic Conference, at the Small States Conference on Sea Level Rise (670 kb in PDF). Ali and Maniku: Sea Level Rise - A Coral Atoll Perspective on A. Terrestrial Environment and B. Marine Resources (3371 kb in PDF). Antoniou: Cyprus and the Climate Change Issue as Envisaged in the Broader Mediterranean Region (1,473 kb in PDF). Brown: Possible Effects of Sea Level Rise on Corals and Reef Growth (979 kb in PDF). Edwards: Strategies for the Future and the Importance of Coastal Zone Management in the Context of Sea-Level Rise (1218 kb in PDF). Edwards: Additional Information. Coastal Management and Sea level Rise (146 kb in PDF). Ellison: Possible Effects of Sea Level Rise on Mangrove Ecosystems (1,504 kb in PDF). Gayoom: Inaugural Address by His Excellency Maumoon Abdul Gayoom, President of the Republic of Maldives, Inaugural Session, Ministerial Meeting (889 kb in PDF). Holmes: Coastal Management (1,068 kb in PDF). Ibrahim: Concluding Address by Hon. Abbas Ibrahim, Chairman of the Conference and Leader of the Maldives Delegation, Concluding Session, Ministerial Meeting (561 kb in PDF). Ibrahim: Welcome Statement by Hon. Abbas Ibrahim, Minister of Transport & Shipping of Maldives and Leader of the Maldives Delegation, Inaugural Session, Ministerial Meeting (527 kb in PDF). Lennon: An Australian Contribution to the Monitoring of Sea Level Rise (1,305 kb in PDF). Lewis: Vulnerability of Small States to Sea Level Rise: Sea-Defence, Adjustment, and Preparedness; Requirements for Holistic National and International Strategies (3,867 kb in PDF). 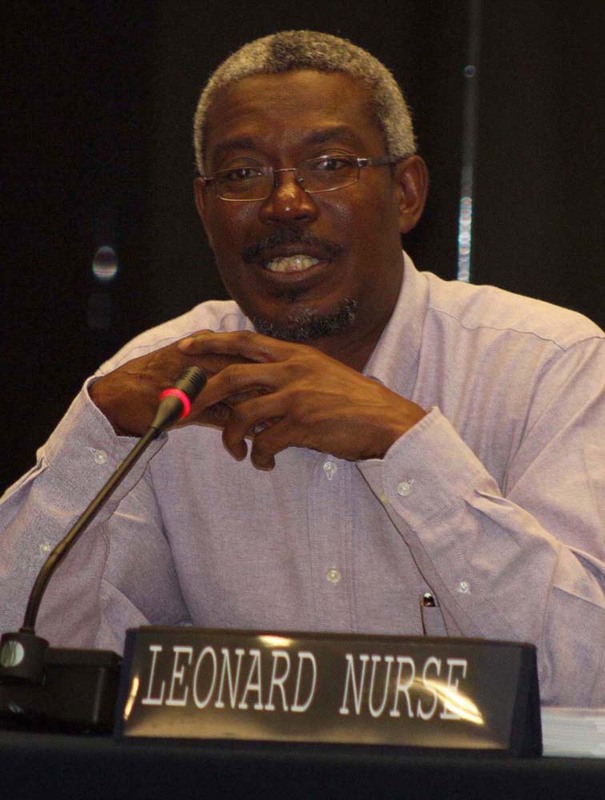 Nurse: Global Sea Level Rise: A Statement from the Island of Barbados (655 kb in PDF). Obasi: Statement by Professor G.O.P. Obasi, Secretary General of the World Meteorological Organization at the Small States Conference on Sea Level Rise (Maldives, 14-18 November 1989) (385 kb in PDF). Pernetta: The Potential Impacts of Climatic Change and Sea Level Rise on the South Pacific Islands (1,537 kb in PDF). Pugh: Statement by Dr. David Pugh, Chairman of the Group of Experts for the Global Sea Level Observing System of the IOC. Theme: Measuring Sea Level Changes (510 kb in PDF). Ramphal: The World Needs Small States (1,233 kb in PDF). Shihab: Statement by Mr. Hussein Shihab, Conference Co-ordinator at the Opening Session of the Senior Officials Meeting (363 kb in PDF). Shrestha: Statement Delivered by Mr. K.B. Shrestha, Director of South Asian Association for Regional Cooperation (SAARC) at the Small States Conference on Sea Level Rise (433 kb in PDF). Stanislaus: Statement Delivered by H.E. Dr. Lamuel A. Stanislaus, Permanent Representative of Grenada to the United Nations at the Small States Conference on Sea Level Rise (423 kb in PDF). Titus: An Overview of the Effects of Sea Level Rise (with emphasis on the Maldives) (3,616 kb in PDF). Warrick: Evidence of Climate and Temperature Change and Sea Level Rise (553 kb in PDF). Woodroffe: Sea-level Rise Through History (391 kb in PDF). Woodroffe: Salt Water Intrusion into Groundwater; An assessment of Effects on Small Island States (2,828 kb in PDF). BBC World Service News: A Special Transmission for the Sea Level Rise Conference at 0300 GMT on November 14th, 1989 (173 kb in PDF). BBC World Service News: A Special Transmission for the Sea Level Rise Conference at 0700 GMT on November 16th, 1989 (226 kb in PDF). Conference Highlights 1: 14 November 1989 (1,333 kb in PDF). Conference Highlights 2: 15 November 1989 (1,324 kb in PDF). Conference Highlights 3: 16 November 1989 (1,196 kb in PDF). Conference Highlights 4: 17-18 November 1989 (1,317 kb in PDF). Press Brief: Senior Officials Meeting, Day Two, 15 November 1989 AM/PM Session (299 kb in PDF). 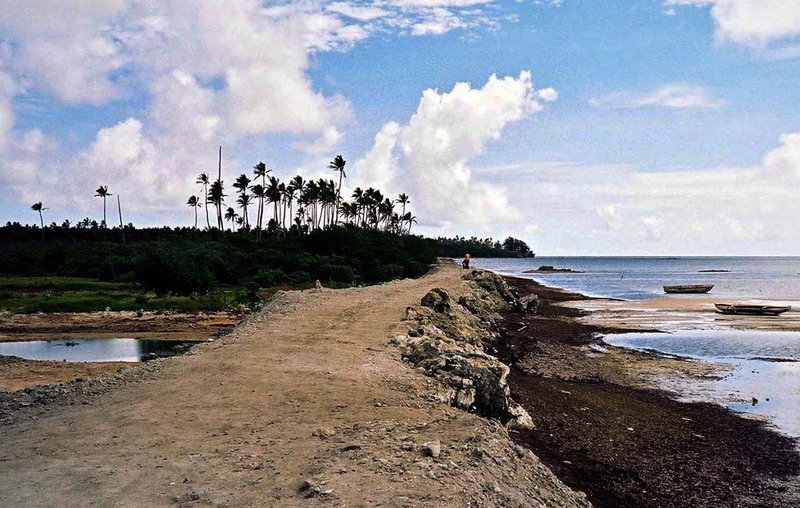 Tongatapu, Tonga: Can sea walls keep out the rising sea? Lewis, J. 1989. "Sea-level Rise: Some Implications for Tuvalu". Ambio, vol. 18, no. 8, pp. 458-459; Appropriate Technology, vol. 16, no. 2 (September), pp. 26-28; and The Environmentalist, vol. 9, no. 4, pp. 269-275. Lewis, J. 1990. "Conference on Sea-Level Rise". AODRO Newsletter (Australian Overseas Disaster Response Organisation), vol. 8, no. 2 (June), p. 5, full text (727 kb in PDF). Lewis, J. 1990. "Sea-Level Rise - Implications for Tuvalu". AODRO Newsletter (Australian Overseas Disaster Response Organisation), vol. 8, no. 2 (June), pp. 3-4, full text (602 kb in PDF). Lewis, J. 1990. "Small States Conference on Sea Level Rise". The Environmentalist, vol. 10, no. 2, pp. 141-143. Lewis, J. 1990. 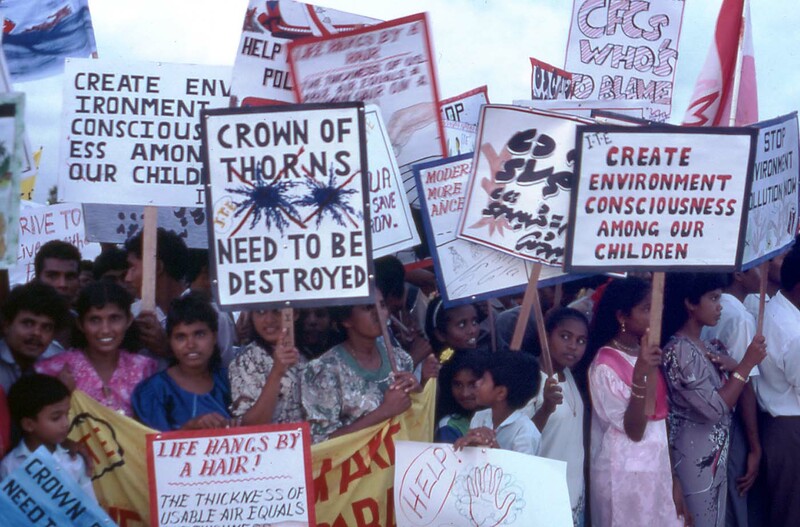 "Small States Conference on Sea Level Rise, Male, Republic of the Maldives, 14-18 November 1989". Disasters, vol. 14, no. 1, pp. 77-78. Lewis, J. 1990. "The Vulnerability of Small Island States to Sea Level Rise: The Need for Holistic Strategies". Disasters, vol. 14, no. 3, pp. 241-248. Blake, B. 1991. "Understanding Sea-level Rise - Predictions For Pacific Atolls". AODRO Newsletter (Australian Overseas Disaster Response Organisation), vol. 9, no. 4 (December), pp. 3-5, full text (680 kb in PDF). Connell, J. 1991. "The Carteret Islands: precedents of the Greenhouse Effect". Geography, vol. 75, no. 2, pp. 152-154. Connell, J. 1991. "The Greenhouse Effect: A New Challenge to Island Estates". Chapter 2, pp. 61-80 in UNESCO (ed. ), Culture des Ã®les et dÃ©veloppement / Islands' culture and development, UNESCO (United Nations Educational, Scientific and Cultural Organization), Paris, France, full text (1,665 kb in PDF). Connell, J. 1993. "Climatic change: A new security challenge for the atoll states of the South Pacific". The Journal of Commonwealth & Comparative Politics, vol. 31, no. 2, pp. 173-192. Connell, J. and M. Maata. 1992. Environmental Planning, Climate Change and Potential SeaLevel Rise: Report on a Mission to the Republic of the Marshall Islands. 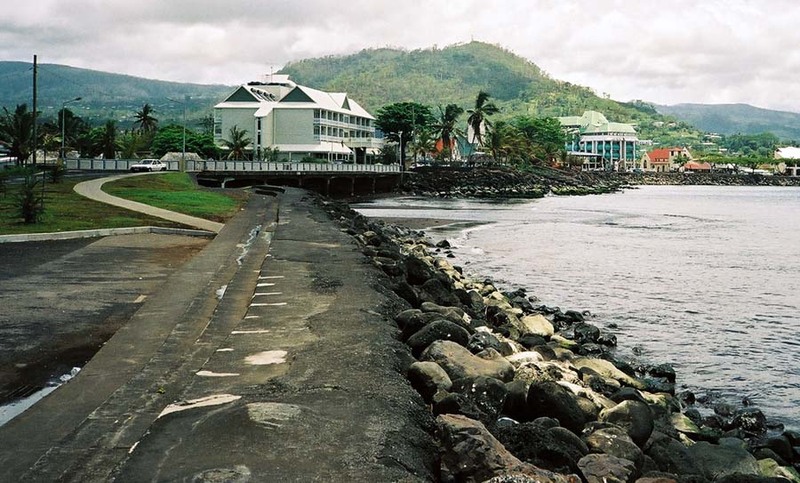 SPREP (South Pacific Regional Environmental Programme), Apia, Samoa, full text (1,332 kb in PDF). Crawford, M., P. Holthus, C. Makroro, E. Nakasaki, and S. Sullivan. 1992 (June). Vulnerability Assessment to Accelerated Sea Level Rise - Case Study: Majuro Atoll. Government of the Republic of the Marshall Islands, Majuro, Marshall Islands, full text but missing a page of the table of contents and some pages at the end (4,724 kb in PDF); if you have the missing pages, please send them, thank you! Edwards, A. 1989. Report to the Commonwealth Expert Group on Climate Change and Sea Level Rise. Centre for Tropical Coastal Management Studies, Newcastle University: Newcastle upon Tyne, U.K., full text (2,459 kb in PDF). EPA. 1983 (October). Predicting Future Sea Level Rise: Methodology, Estimates to the Year 2100, & Research Needs. EPA 230-09-007 Revised, EPA (United States Environmental Protection Agency), Office of Policy and Resource Management, Washington, D.C., full text (7,323 kb in PDF). EPA. 1988 (July). Greenhouse Effect, Sea Level Rise and Coastal Wetlands. EPA 230-05-86-013, EPA (United States Environmental Protection Agency), Office of Policy, Planning and Evaluation, Washington, D.C., full text (3,276 kb in PDF). Frassetto (ed.). 1991. Impact of Sea Level Rise on Cities and Regions. Proceedings of the First International Meeting 'Cities on Water' Venice, December 11-13 1989. Marsilio Editori, Venice, Italy, full text (19,319 kb in PDF). Government of Bangladesh and Government of the Netherlands. 1994. 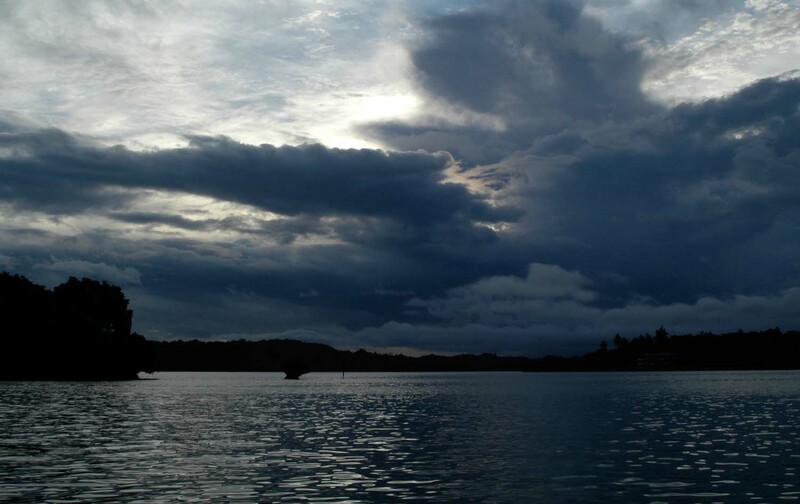 Vulnerability of Bangladesh to Climate Change and Sea Level Rise: Concepts and Tools for Calculating Risk in Integrated Coastal Zone Management: Summary Report. Department of Environment, Government of Bangladesh, Dhaka and Ministry of Foreign Affairs, Government of the Netherlands, the Hague, full text (28,299 kb in PDF). Ince, M. 1990. The Rising Seas. Earthscan, London. Jacobs, J.W. and W.E. Riebsame. 1989. The Greenhouse Effect: Recent Research and Some Implications for Water Resources Management, Natural Hazards Center Working Paper 65. Natural Hazards Center, Boulder, Colorado, U.S.A., full text (2,799 kb in PDF). Lewis, J. 1988 (March). 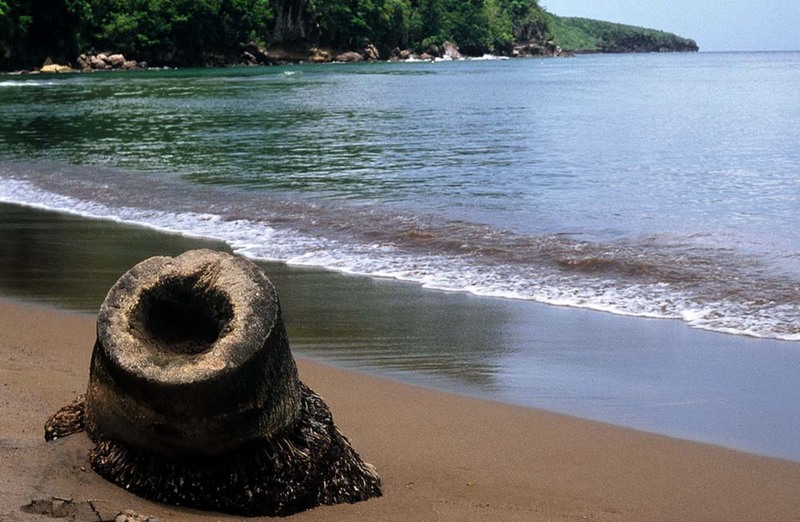 Sea Level Rise: The Implications of Sea-Level Rise for Island and Low-lying Countries. Commonwealth Expert Group on Climatic Change and Sea-Level Rise, Commonwealth Secretariat, London, U.K., full text (2,315 kb in PDF). Lewis, J. 1988 (December). Sea Level Rise, Tonga Tuvalu (Kiribati): Report of a rapid field reconnaissance mission, November 1988. Commonwealth Expert Group on Climatic Change and Sea-Level Rise, Commonwealth Secretariat, London, U.K., full text (2,690 kb in PDF). Ninh, N.H., N.D.Ngu, H.M. Hien, and S. England (eds.). 1991. Report of the International Conference on Climate Change and Sea Level Rise Impacts, Hanoi, Vietnam, 9-10 November 1991, Center for Environment Research, Education and Development, Hanoi, Vietnam, full text (35,474 kb in PDF). Nunn, P.D. 1988. Future Sea-Level Rise in the Pacific. SSED Working Paper No. 12, SSED (School of Social and Economic Development), University of the South Pacific, Suva, Fiji, full text (1,753 kb in PDF). Nunn, P.D. and E. Wadell. 1992. Implications of Climate Change and Sea Level Rise for the Kingdom of Tonga: Report of a Preparatory Mission. SPREP, Apia, Samoa, full text (4,170 kb in PDF). Pernetta, J.C. 1992. "Impacts of climate change and sea-level rise on small island states: National and international responses". Global Environmental Change, vol. 2, no. 1, pp. 19-31. Roy, P. and J. Connell. 1989 (April/May). "The Greenhouse Effect: Where have all the islands gone?" Pacific Islands Monthly, vol. 59, no. 16, pp. 16-21. Roy, P. and J. Connell. 1989. "'Greenhouse': The impact of sea level rise on low coral islands in the South Pacific". RIAP Occasional Paper No. 6. RIAP (Research Institute for Asia and the Pacific), University of Sydney, Sydney, Australia, full text (3,250 kb in PDF). Roy, P. and J. Connell. 1990. "Extracts from 'Greenhouse'! the impact of sea level rise on low coral islands in the South Pacific". AODRO Newsletter (Australian Overseas Disaster Response Organisation), vol. 8, no. 2 (June), pp. 6-9, full text (929 kb in PDF). Roy, P. and J. Connell. 1991. "Climatic Change and the Future of Atoll States". Journal of Coastal Research, vol. 7, no. 4, pp. 1057-1075. "Small Island's, Sea Levels and Hazards". 1989. Three articles, pp. 6-21, in Issue No. 4, August 1989, "The Newsletter of the International Hazards Panel", full text (2,844 kb in PDF). Woodroffe, C. and R. McLean. 1990 (April 5). "Microatolls and recent sea level change on coral atolls". Nature, vol. 344, pp. 531-534. The material on the Island Vulnerability website is provided as only an information source. Neither definitive advice nor recommendations are implied. Each person or organisation accessing the website is responsible for making their own assessment of the topics discussed and are strongly advised to verify all information. No liability will be accepted for loss or damage incurred as a result of using the material on this website. The appearance of external links on this website does not constitute endorsement of the organisations, information, products, or services contained on that external website.